Your roof can be considered the most important part of your house. It is there for all seasons, to keep you warm and dry in the winter, and cool in the summer. A bad roof poses a very serious threat to your belongings, not to mention your loved ones. And many people do not realize that they need a new roof until water is leaking into their house. Check for these roof warning signs that indicate you may need a new roof. 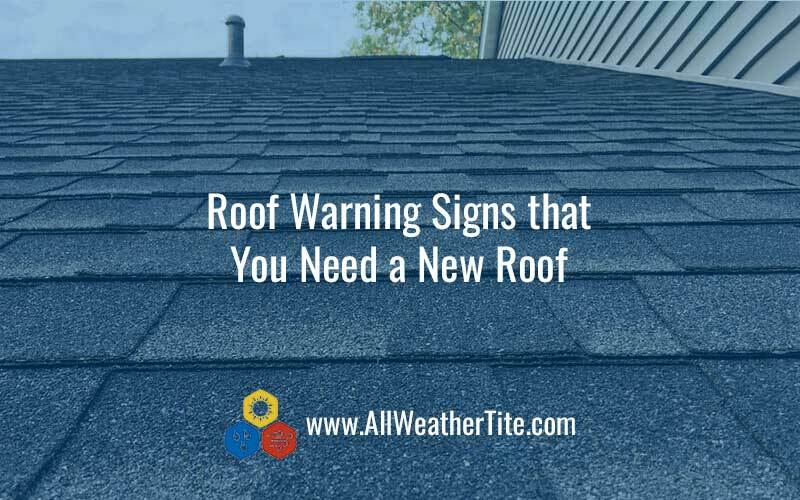 The first step that you should take even before considering any roof warning signs is to try to find out the age of your roof. Most roofs last between 20 to 25 years, depending on the type of material. Another factor is whether the old roof was removed and how many layers of shingles you have. If you have a roof installed over another layer or layers that are older than 20 years, then you should consider getting a new roof. If the shingles on your roof look unusual to you, it is never a bad idea to get them checked out. The condition of shingles is a good way to tell the age of a roof. A roof that is past its prime will often have shingles that are curling or buckling from sunlight or ventilation problems in your attic. Remember to check your gutters regularly as well. When you are cleaning your gutters, keep an eye out for granules of shingles, as pieces of shingles wearing away in the rain is a sign that a roof is past its prime. If there are areas of your roof that feel spongy or soft while you are walking on it, it is time to call the professionals. A spongy feelings means that the decking that lays under the roof has suffered damage from moisture and has become weak or rotted. Check the inside of your attic for signs of moisture and for daylight creeping through the roof boards. If you noticed dips in your roof, accompanied by missing or damaged shingles, it is time for a new roof. Water can collect in the valleys, and can lead to leakage inside of your home. It is especially important to check valleys of a roof before and after snowy weather. Snow that is piled up on a roof can be exceptionally dangerous for your home and for your loved ones. The valley of a roof is where two slopes meet. If you see that shingles are missing in the area around the valley, this is a definite sign that you need a new roof. The valley is the most important part of the roof because rain and snow travel down the valley into the gutter. Missing shingles in this area are a sign that you could be susceptible to leaks. Damage to your chimney flashing can cost money if you ignore the problem. Chimney flashing prevents water from entering your home at the point in which the chimney and roof of the home meet. Older homes often have flashing that is made from cement or tar. If this is the case, there may be moisture in the insulation, which would ultimately mean that you need a new roof. You should update the flashing with a new water-tight metal flashing system because it is more durable and it will last longer. Many people do not check their attic frequently. After going through all of these warning signs, if you think that your roof might be nearing its end, checking your attic could be the last push you need. When in your attic, if you cannot see sun shining through the roof boards, still check for moisture in the insulation that could be hiding. Excessive moisture is a sign that your roof may be deteriorating. Many homeowners don’t think about their roof until there are obvious signs of damage, such as a leak in the ceiling or shingles on their lawns. Most older roofs have a life expectancy of 20-25 years. If your roof ‘s age is approaching 20 years or more, you should be budgeting for a new roof. I didn’t realize that a loss of shingle granules could be a sign that your roof is in need of a replacement. I was cleaning leaves out of my gutters the other day and noticed a lot of granules present. My roof is pretty old coincidentally, so I’ll look at having it replaced in the next couple of months. It was really nice how you said that the valley is the most important part f the roof and that if we notice that it’s missing a shingle, then it’s time to get the roof replaced. My brother climbed up the roof last week to clean the gutters when he noticed that a few shingles were missing from the centermost part of the valley. Seeing this article made me realize that it’s not something that we can overlook. I’ll be sure to call professional roofers as soon as possible. Thank you. My mom always told me that we should take care of the valley but didn’t explain why, so it was nice that you explained why. You said that it’s because rain and snow travel from the valley to the gutters. So, what do we do now that the valley was ruined? I climbed up the roof a few days ago and saw a large crack at the center of the roof creeping up to the valley. I also noticed that it’s missing a few shingles. I think hiring a professional is our only option right now. We might need a new roof. I’ll talk to my parents about this. Thank you. I do appreciate how you pointed out that a new roof is needed if the valley is the one with the damage as it makes the house susceptible to leaks considering that it’s the one responsible for transporting water down to the gutters. If that is true, then I will surely suggest hiring a professional roofer to my parents right away. I checked the other day and saw that a large number of shingles missing near the valley area. It needs to be checked right away. Thanks! It was really helpful when you suggested checking the gutters every once in a while for granules of the shingles because once we discover that they are breaking apart, that is a sign that the roof is at the end of its lifespan. I will make sure to climb the roof to check that out once I get home. Though I am pretty sure that I have seen a few parts of the shingles in the backyard while I was cleaning last week. Anyway, thank you for sharing! A friend of mind had poor roofing done to his house from a local roofer and pretty sure they were not certified. Leaving their house in poor condition and nearly collapsed due to the wrong materials use and poor construction done. They couldn’t even stay at their house at the moment since it was unsafe and work had to be done. Knowing that a roof whether its for your home or business, it is one of the most important key element. It’s always good to do some good research and hire the right contractors who are licensed. I appreciate you saying getting the shingles checked if we ever notice that there is something wrong with them because they are the best way to tell the age and condition of the roof. If that is the case, then I will call a professional to climb up the roof, do an assessment, and tell me if it needs to be replaced. A few days ago, I stood across the street and saw a few shingles seemingly broken, though I cannot say for sure. Thank you for sharing. I agree, if there is daylight leaking though into your attic, then you’ll definitely want roof repairs. After all, the daylight is likely an indicator that you have several large holes in your attic. If that is the case, then you’ll want to get the roof repaired before it rains and the leaking water ruins your ceiling. It got my attention when you said that the roof needs to be replaced if the valley is damaged because it can collect water and cause leakage inside the house. I guess I have a proof of that since there is a pool of water in the attic. I will call a roofer to replace the old, broken roof before it can cause more structural damages. Thank you for sharing! I appreciate it when you said that the look of the shingles will help determine the situation of the roof and that if they are curling, then it is a sign that the roof is reaching its limit. If so, then I might consider asking my parents to have the roof replaced. After all, aside from the buckling shingles, I am also aware that the roof is even older than me. It’s about time we let it retire. I have been debating whether or not I should replace the roof since there seems to be minimal damage to it when I saw this. You said that the valley of the roof is important and that it can cause water to enter the house if it is broken or damaged in any way. That is exactly where the damage is when I went to check last week. I guess I have no choice– we need to have a new roof installed. I appreciate it when you said that roof replacement is the best thing to consider when we check the gutters and see that parts of the shingles are gathered there since it is a sign that the roof has reached its limit. I will be sure to mention this to my mom since I did notice that the there are shingle granules on the gutters and the backyard last week. That must what caused the leak in the attic during the last storm. I really like what you said about how people should look for moisture in the insulation that could be hiding. While our metal roofing has served as well for the past decade, we can never be too sure that there aren’t any hidden damage that hasn’t made itself known to us. I’ll be sure to look for reputable roofing contractors that can do a proper maintenance on it. I liked it when you said that I can check the under the roof boards if ever I cannot see the sun shining through the attic. There is no need for that since I can very well see the sunlight beaming through the attic on a sunny day. For me, that is enough of a reason to call a professional and get the roof replaced. After all, if the sun can get in, then so can the rain. It grabbed my attention when you pointed out that the roof is past its prime if I am seeing a lot of shingle granules present on the gutters. There are times when I even see them on the ground in the garden. I guess that means that the roof is really old and need a replacement. It might be best I call a roofer to check it out ASAP. Thank you for explaining that shingle granules in the gutters, and sometimes in the yard, is a sign that it is wearing away in the rain and it needs to be replaced. Actually, I have seen shingle granules in the gutters a while back, but what bothered is the roof being a lot spongier. I know that it is also a sign that I need a replacement, so I won’t waste time anymore. I will call a professional to inspect the roof and schedule a replacement. It got me when you said that I need to have the valleys of the roof checked before the winter because it can be dangerous if snow piles up on a damaged valley. I will have to keep this in mind since I did notice that there are missing shingles near the roof valley when I checked the other day. Once I am available, I will hire a roofer to replace the whole roof. That way, we can prepare for the winter. I appreciate you saying that the valley is the first point where the rainwater falls and that if there are missing shingles in this area, then there is a big chance of a leak occurring. I did see the shingles crack near the valley when a small tremor happened. Because of this, the roof is now susceptible to leaks. Since there is a storm coming, I do not wish to wait and see what will happen. We need to get it replaced now. You pointed out that the valley is the one responsible for driving water away and so if shingles are missing from it, then it is a sign that we need to replace the whole roof. I will mention this to my mom since she was the one who noticed broken shingles around the valley. She saw that when she went up to the widow’s walk. I do think that the roof needs to be replaced. I liked your recommendation to check the area around the chimney. I have honestly never looked closely at this are of the roof before. It is an eye-opener that this is a very viable place for damage to occur. I’ll be sure to look for changes in shingles as you suggest to know if my roof needs repair. If the roof has a spongy texture as you say, I’ll contact a service right away. 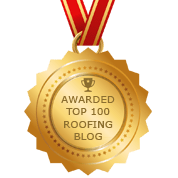 Since you also mentioned that I have to ask myself how old my roof is to know if it needs repairs, I’ll ask my husband about this and hire the right roofer for the job.